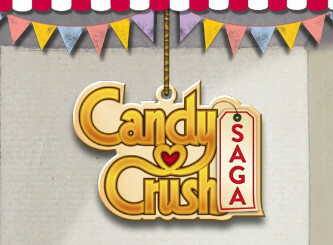 Candy Crush Saga game contains very interesting puzzles and tons off different combos that make this hit game for young and old alike. Variation on four in row game, this one features great gameplay, pretty animations and sweet soundtrack. Add to that capacity to brag about high scores and acchievements on social networks which for some is good thing and no wonder we have huge player community. Well done and throughout out game which gets every recommendation from us. anonymous: "great game for puzzle lovers and combo masters ;)"
anonymous: "not that much try searching on google for candy swipe, man was ripped off from candy saga folks. dark bussiness indeed." anonymous: "bad carma this game brings to all who play, sorry."